S.K.A.M. Artist very own, Lil Jon, an American Rapper, Record Producer, Entrepreneur and DJ hailing from Atlanta, Georgia turned west coast sensation. 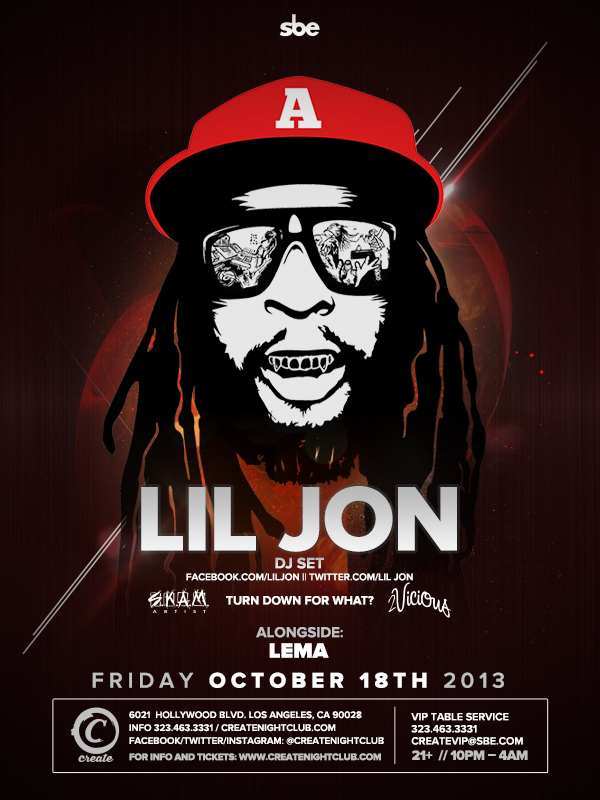 After working with numerous music acts ranging from LMFAO, Travis Porter, Soulja Boy, R Kelly,The Game, and Waka Flocka Flame just to name a few, Lil Jon has made his way to DJ superstardom with residences across the United States.